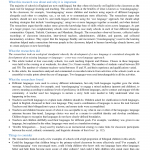 Here you will find summaries of research papers that relate to Multilingualism and additional language learning. 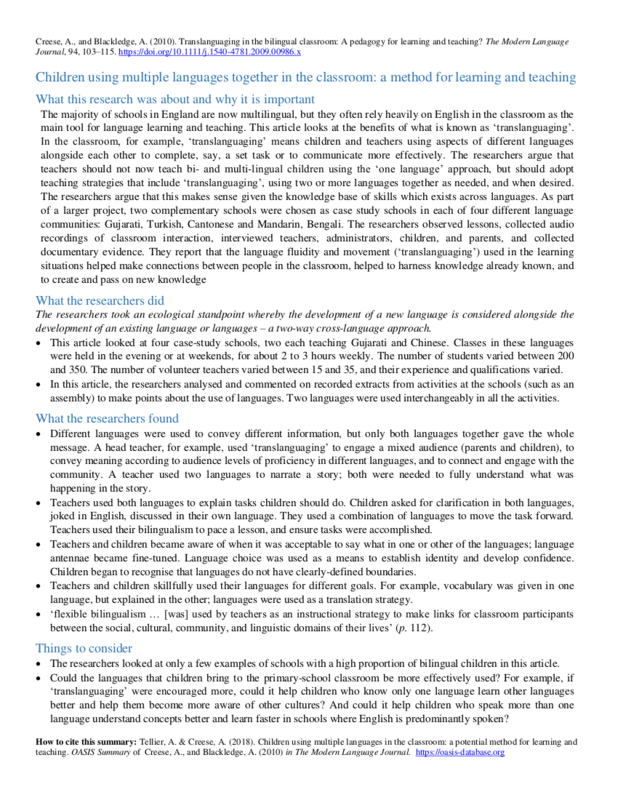 Each summary is worded to be reader-friendly, and covers no more than one side of A4. 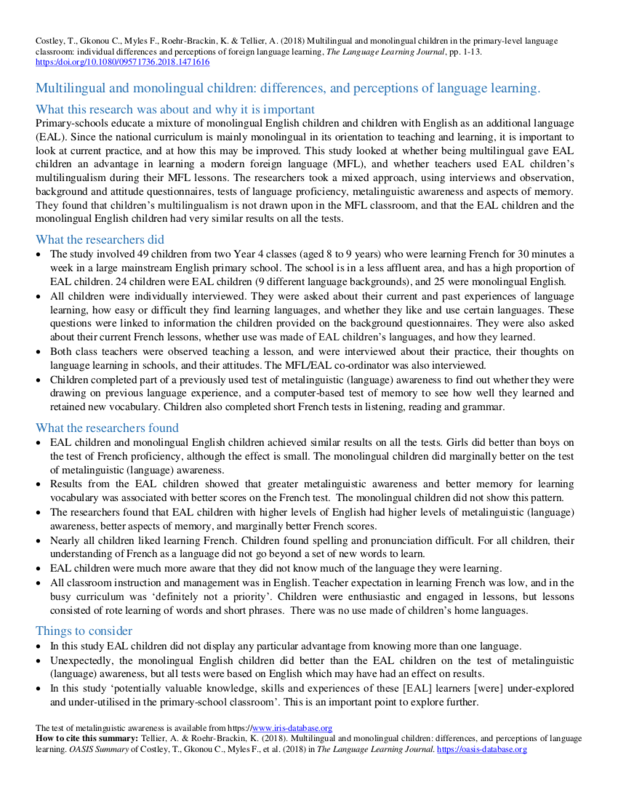 If you have any questions about the research, or would like to know more, please contact us, or the theme leader, Vicky, at this address: victoria.murphy@education.ox.ac.uk. 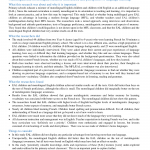 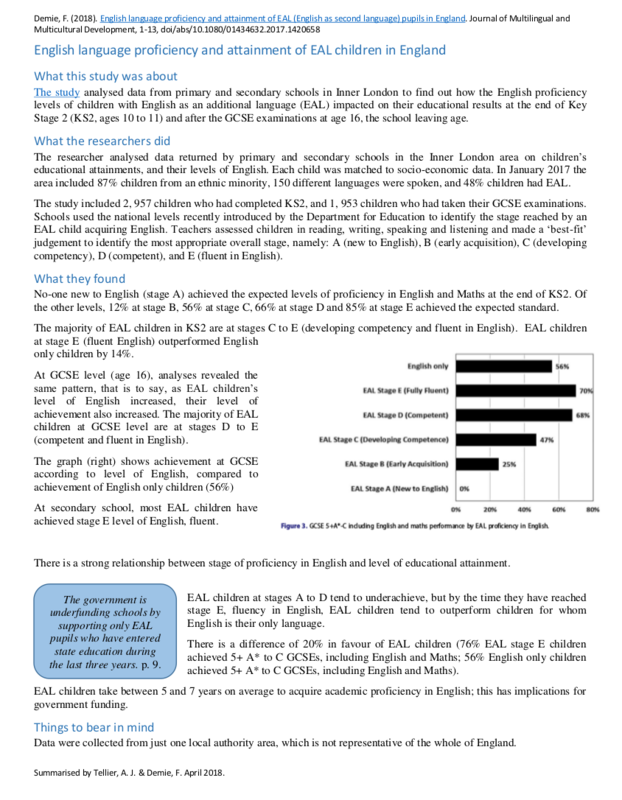 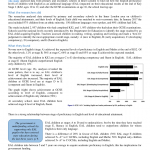 Multilingual and monolingual children: differences, and perceptions of language learning.